Even as English is again under attack at the National Assembly during the hearings on Bill 14, it is perhaps true that most Quebecers have been misled into believing that English is not also an official language of Quebec. But that’s entirely unfounded in fact or in law. English has been an official language of Quebec ever since 1763. Every law passed since then has been passed in English. Every law to be passed by the current Parti Québécois government will be passed in English as well as French, and the English text will be official, just as will be the French. 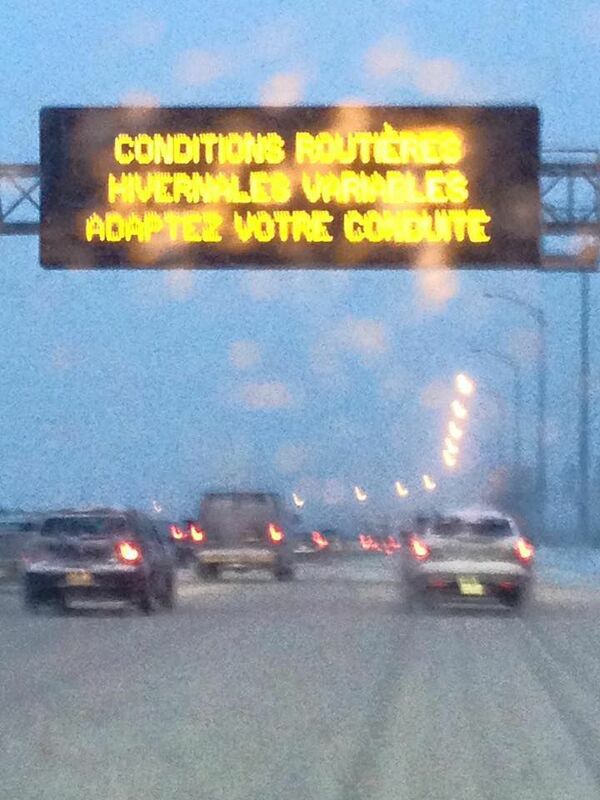 English is part of Quebec’s very identity. That part is largely what makes the difference between Quebec and other former colonies of France, such as Guadeloupe, Martinique, Louisiana, Haiti, Vietnam or Algeria. This statement was signed by Quebec’s two most distinguished legal scholars, Frank R. Scott, dean of the McGill Law Faculty, and John Humphrey, the chief drafter of the United Nations’ Declaration on Human Rights. What they wrote in 1974 was then reinforced by the Constitution Act 1982, which further constitutionalized English and French language rights across Canada. Those who say that French is the “sole” official language of Quebec are either misinformed or deliberately misinforming. English was, is and will be an official language of Quebec. Several petitions are circulating online calling upon Members of the National Assembly to vote down the evil and repressive language legislation proposed under Bill 14. One petition calls upon Francois Legault and the members of the Coalition Avenir Quebec to vote down the bill in its entity. Click here. This one has a little over 1000 signatures with a goal of 10,000. Why not sign both? The bill is mean and would slash fundamental rights of Quebecers. It would punish English-speaking Quebecers yet again. It restricts the educational freedom of our remarkable military personnel. It strips powers from our cities and towns and threatens those with bilingual status. There’s much more and it’s all bad and none of it will help improve the situation of the French language. Sign a petition. Call your MNA. Write a letter to the editor. Get involved. Cote Saint-Luc Mayor Anthony Housefather will be among the first to present a brief to the National Assembly commission reviewing the odious Bill 14 that gets started this morning. Housefather, a lawyer and former president of the English language rights lobby Alliance Quebec will press for status quo for the 85 bilingual municipalities and boroughs in Quebec who already enjoy relative language peace in civic matters. Housefather will be joined by town of Mount Royal Mayor Philippe Roy. The two mayors will be representing the Association of Suburban Municipalities , the group bringing together the demerged cities on the island of Montreal. Bill 14 is a shameful piece of work introduced by the PQ government. Ultimately, the law would punish Anglo Quebecers by further restricting their rights and freedoms. The bill, if adopted, would create more anxiety and discomfort not only among English speaking Quebecers but would do the same to small business owners and even to military families who’s children would no longer benefit from the exemption from attending French language schools since they constantly move around the country. The government ought to have learned something from the recent Pastagate disaster that created international embarrassment for Quebec. Major world media outlets are now tuned in to the mean-spirited and repressive language laws in this province. How can Canadians continue to tolerate this infringement on rights for other Canadians? If they can rally around Idle No More protests what about speaking out for English-speaking Canadians here in Quebec? If students can continue to rally, clanking their pots and pans, protesting against a tuition increase of pennies a day what about their sense of social justice against the suppression of their fellow citizens’ rights? Montrealers protest against real and perceived human rights violations all over the world. What about the human rights violations against fellow Quebecers? The spotlight should shine upon these Bill 14 hearings and Quebec should be shamed yet again for the abuse of rights and freedoms here at home. The opposition parties ought to vote down the bill, in its entirety.